Some like fruity, some like chocolate, while others prefer more unusual flavours. If you are an ice cream lover, you can find every imaginable flavour in Bratislava. There are ice cream shops with secret family recipes operated by generations. Others have embraced the latest trends, serving black or even vegetable ice cream. However, they all share one something in common– they make ice cream with love and the result is visible. To get of ice cream in the centre, you often must wait in long queues. “It is impossible without love, believe me. 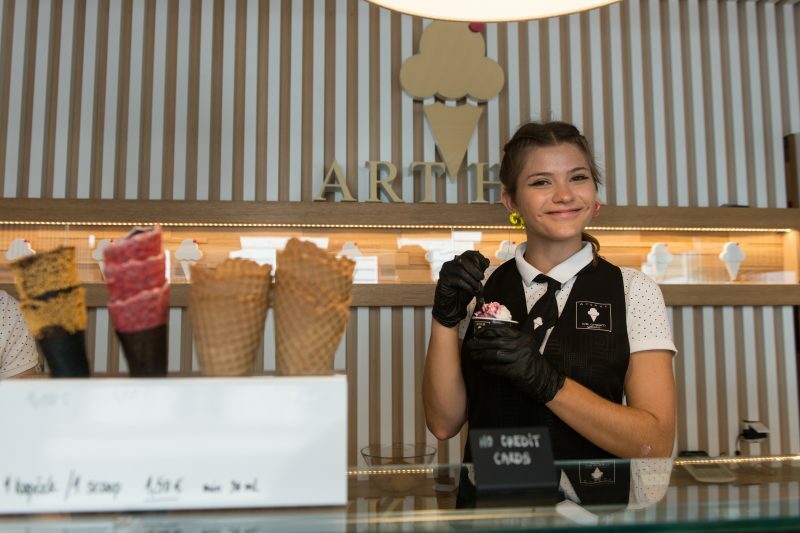 You can do everything like me, but if there is no love, it will not work,” says Cuneyt Memeti, owner of Arthur Ice Cream on Laurinská Street. In recipes, he combines what he has learned from his father, also an ice creamer, with modern trends. Today, ice cream is often made vegan, without eggs and artificial colorants. Arthur’s specialty is black ice cream, which is made from coconut flour and served in a black cone. Would you like violet or pineapple with radish? If you are a fan of untraditional flavours, check out the Koun ice cream shop on Hviezdoslavovo Square, hidden behind the US Embassy. 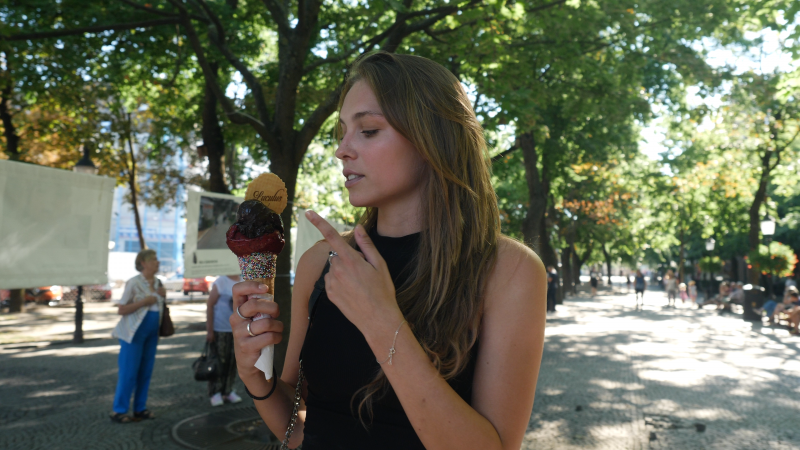 It was founded just a few years ago by Barbora Szalaiová, who went to the prestigious Gelato University in Italy to learn how to make genuine gelato. Koun offers daily prepared fresh ice cream from high-end Italian ingredients. Customers can stick to traditional flavours or be bold and try some of the store’s craziest combinations, including pineapple with radish shoots, violet, and chocolate with plums dipped in port wine. “Today, I’m getting coffee with orange and vegan chestnut. Both are luxurious,” says regular guest Andrea Nováková. Rumours about the quality and innovation of the Koun ice cream shop very quickly exceeded city and even country borders. Shortly after its opening, Koun was listed as one of the top 13 ice cream shops in Europe. 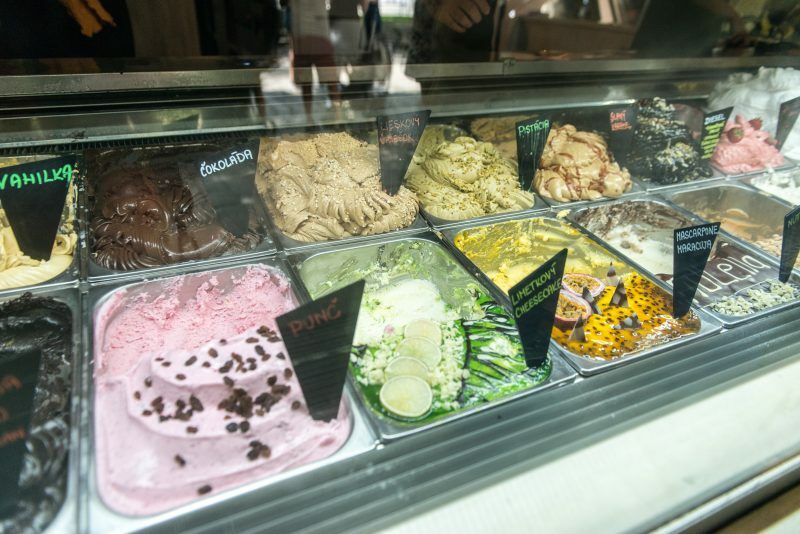 You can taste another portion of the ice-cold delicacy at the nearby Luculus ice cream shop on Hviezdoslavovo Square. It has been selling ice cream prepared according to a secret family recipe since 1954. You can choose from more than 20 kinds of fruit sorbets and ice creams of every imaginable flavour, including their Diesel specialty. If you wish, smiling staff will sprinkle the selected combination with chopped nuts or coloured sprinkles. 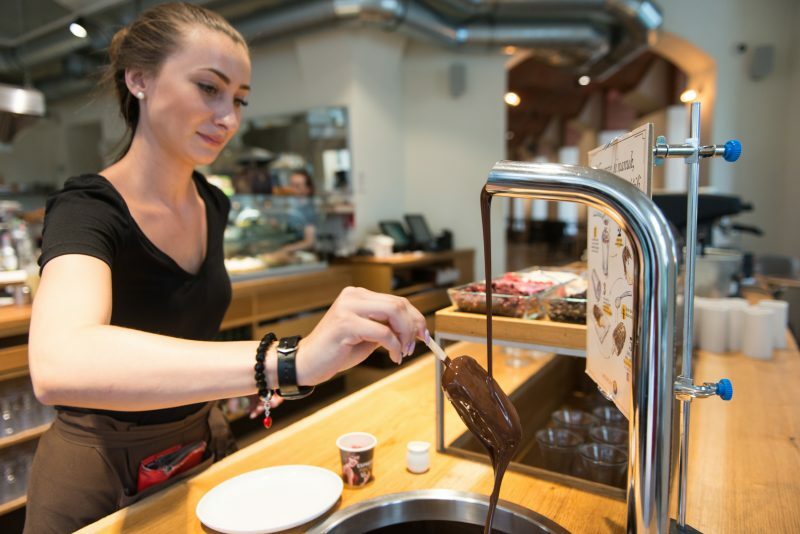 In Bratislava, the quality of ice cream and coffee is generally high, according to Martina Hlinová, the owner of a chain of restaurants and the Franz Xaver Messerschmidt café. She herself has fulfilled one of her dreams by founding the ice cream shop. Be sure to try her poppy seed ice cream or one of her fruit sorbets with an extra-high content of fruit. After indulging in her sorbet made from blueberries from the north-eastern village of Osturňa, you will have a purple tongue for hours afterwards. If you are a holder of the Bratislava CARD City & Region tourist card, you’ll even get a 10 percent discount here. Koun, Arthur and Messerschmidt are just a few of the many ice cream kingdoms in the city centre. 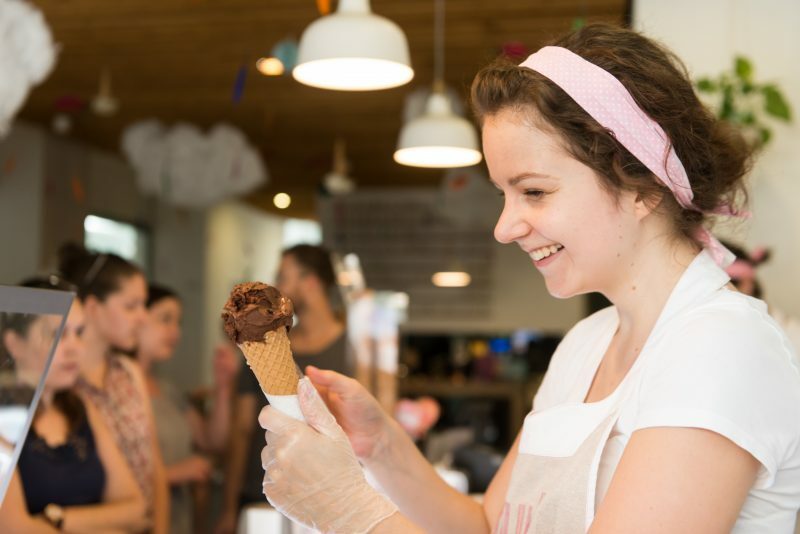 In I Nonni Cremeria on Laurinská Street, ice cream is prepared under the watchful eye of an Italian ice cream master. At Café Vienna in SNP Square you can taste mojito ice cream. In the Mondieu café on Laurinská Street, you can make your own popsicles. First, cover it with melted chocolate and then flavour it with a portion of dried fruit of your choice. Finally, top your masterpiece with white chocolate and enjoy your delicious creation.